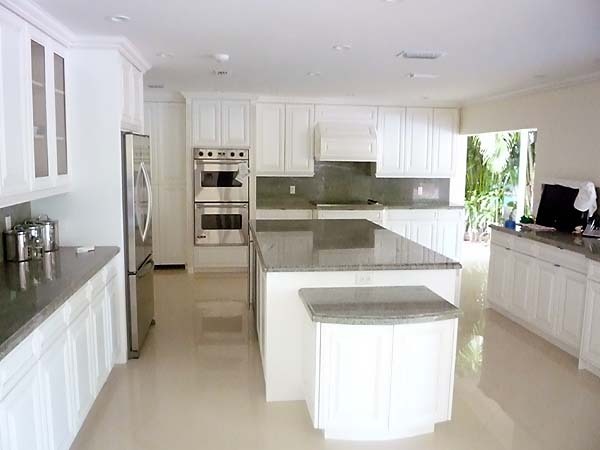 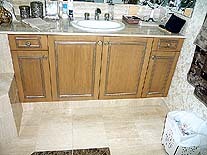 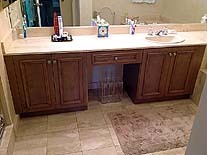 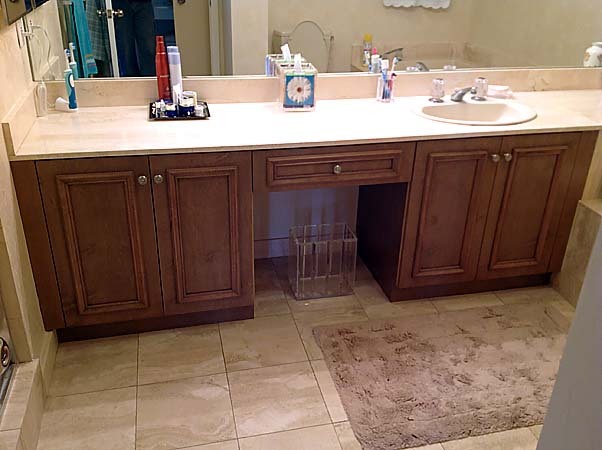 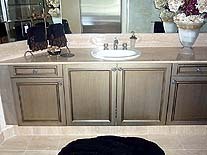 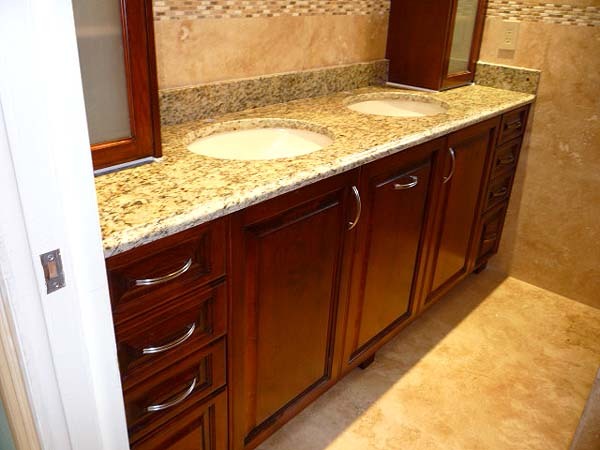 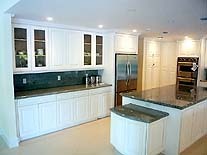 We can create custom kitchen and bath cabinetry in either European (frameless) or Framed (both overlay and flush inset) construction. 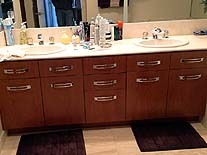 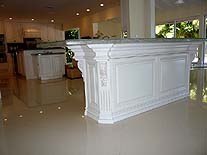 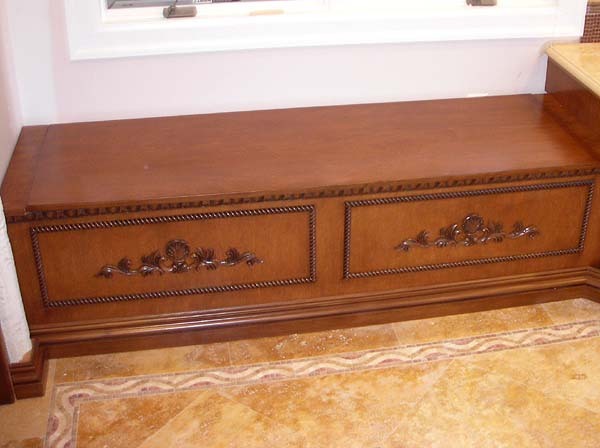 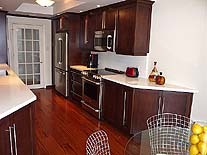 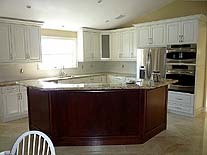 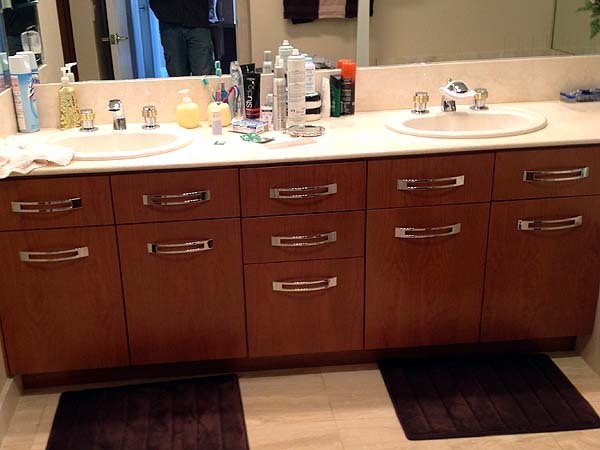 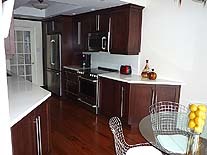 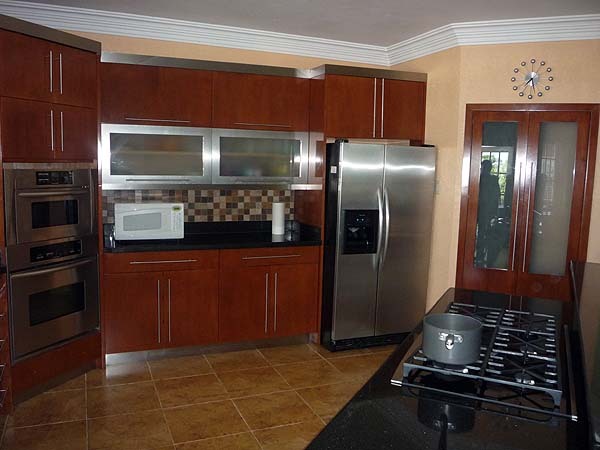 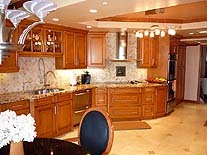 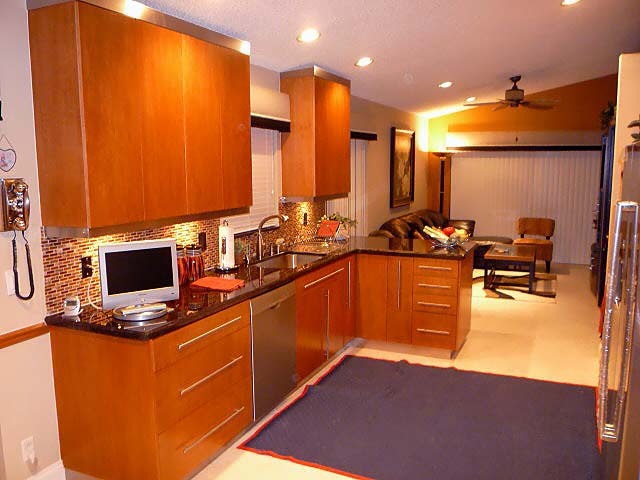 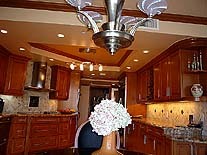 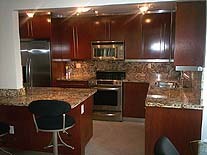 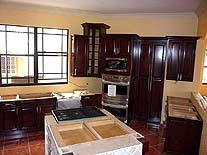 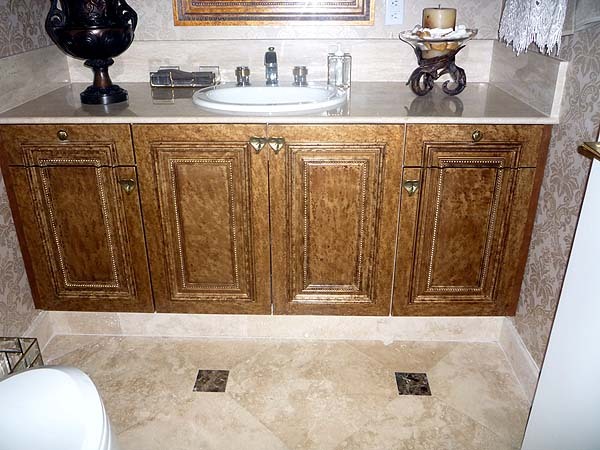 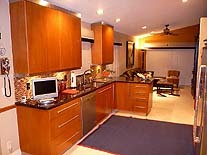 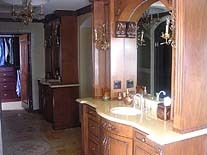 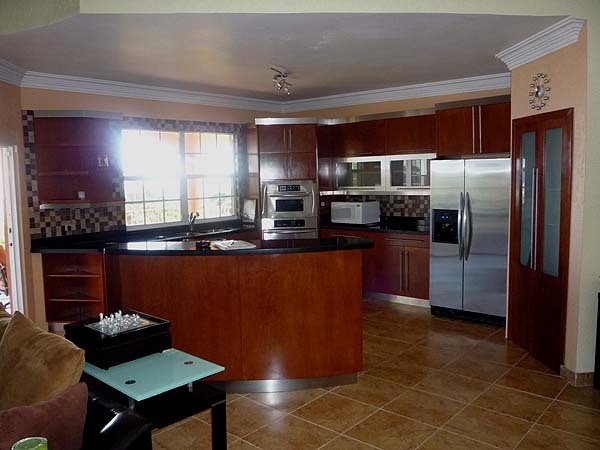 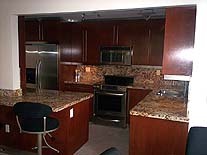 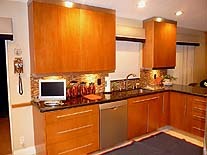 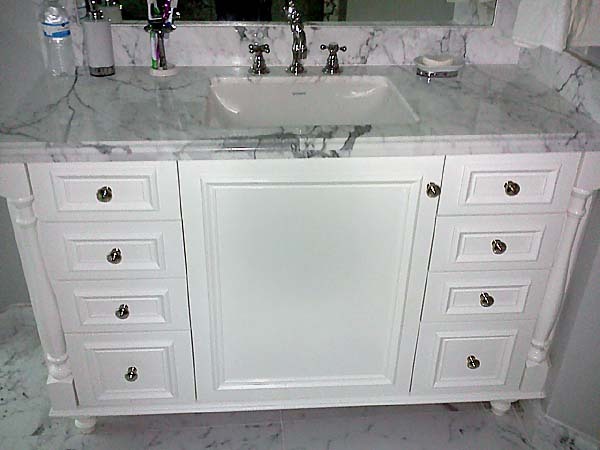 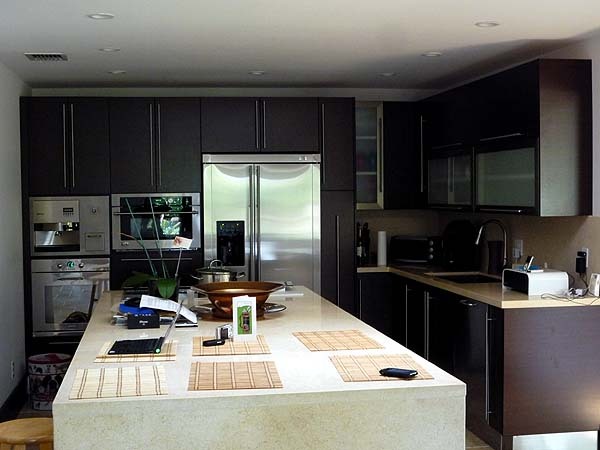 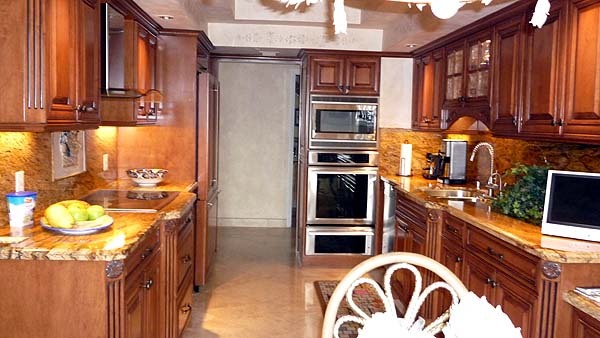 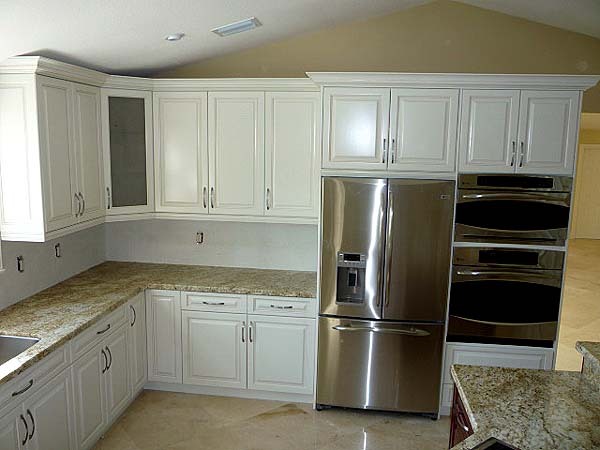 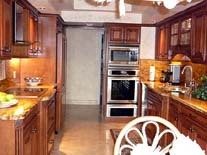 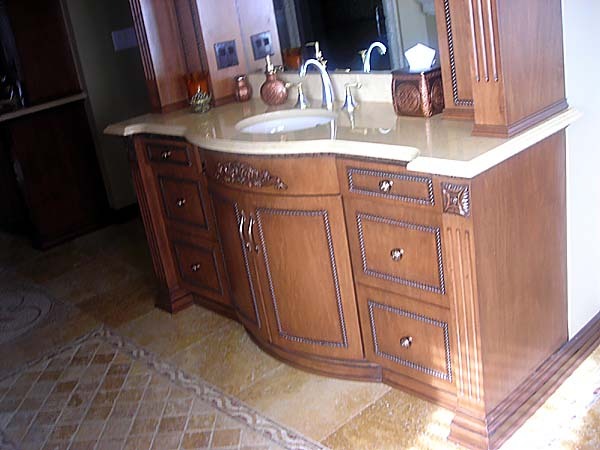 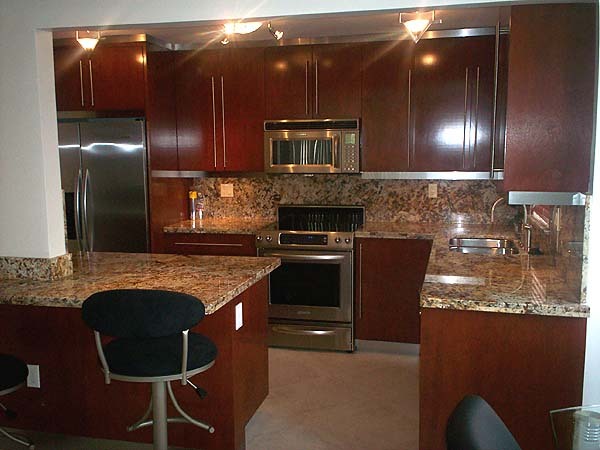 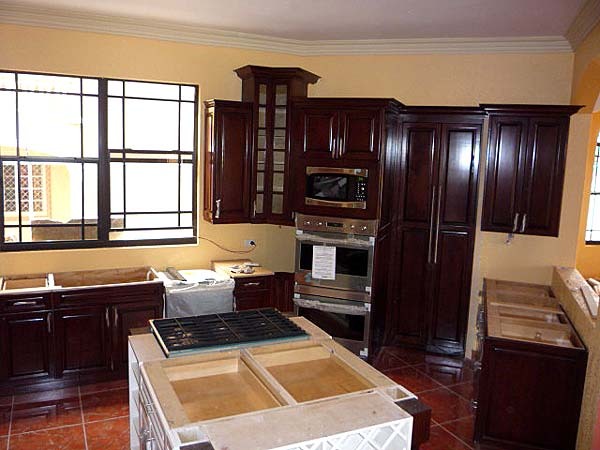 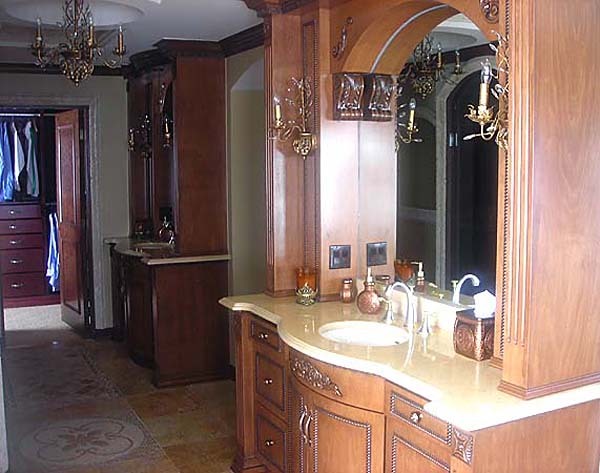 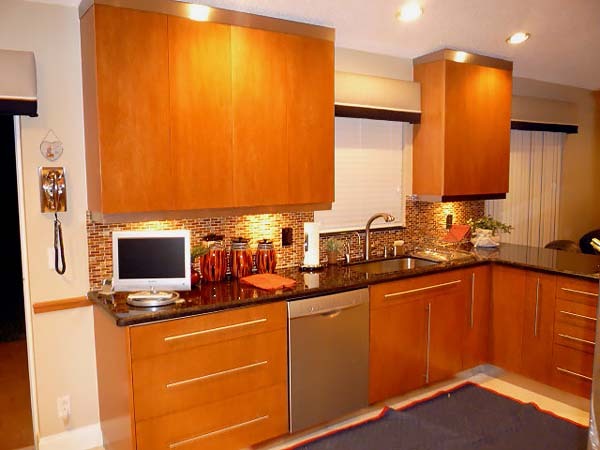 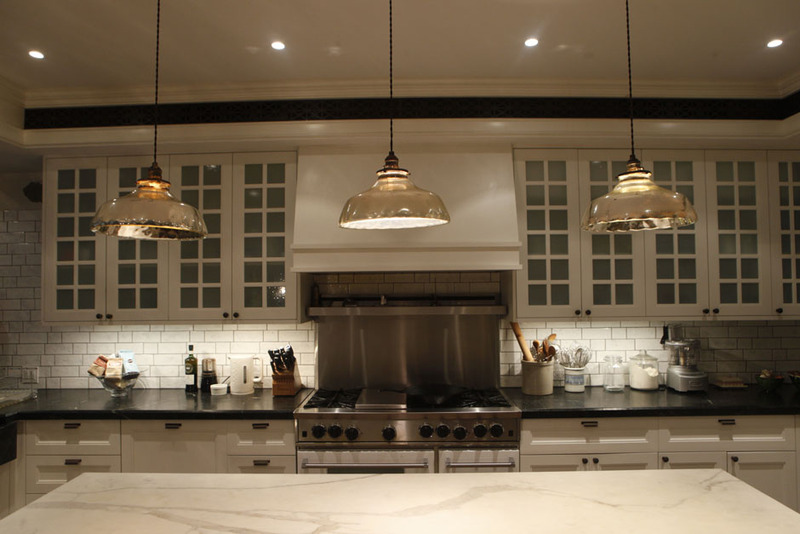 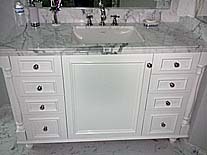 This cabinetry can further be built in any style, from very traditional to modern. We work with our clients directly to create a design and layout that best accommodates their needs and vision. The design process begins with a simple consultation intended to articulate your general vision for the kitchen or bathroom, including different materials, styles, finishes, hardware, etc. 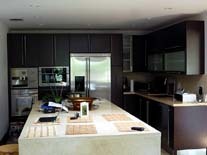 Then we begin working on building our preliminary designs using both hand drawn sketches and 3D renderings. 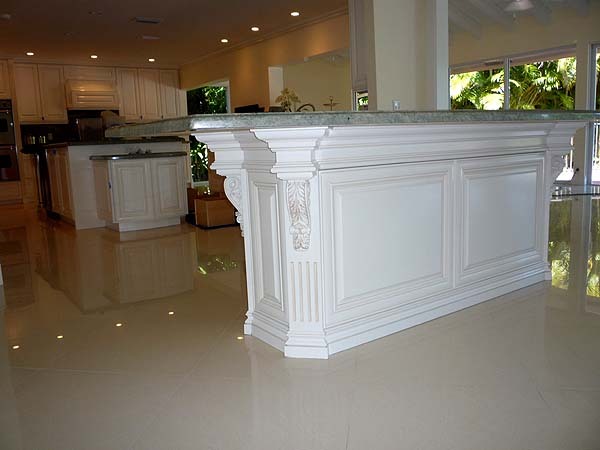 These preliminary designs are then refined with the customer's feedback until the final version is perfected for manufacturing. 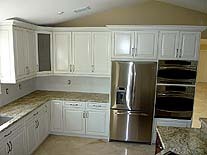 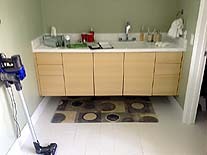 Built-in cabinetry covers many categories of cabinetry, from home-office filing cabinets to display woodwork. 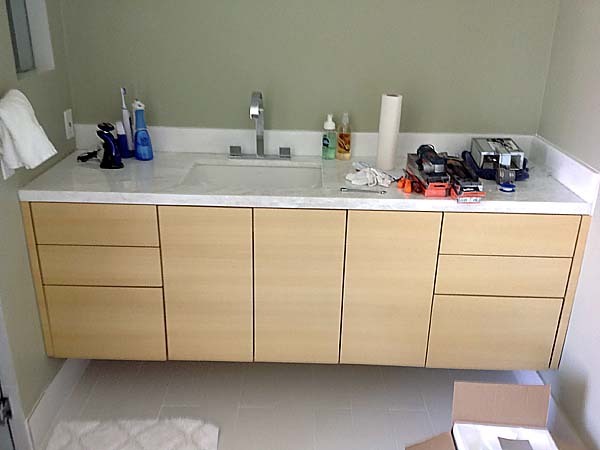 Each category involves its own elements and options, such as file orientation and locking mechanisms for office cabinetry, but the most important aspect is always the design that we develop for the work.